Powerpoint presentration version just click on the "NEXT" arrow on the image below located at the right side and bottom of the image. 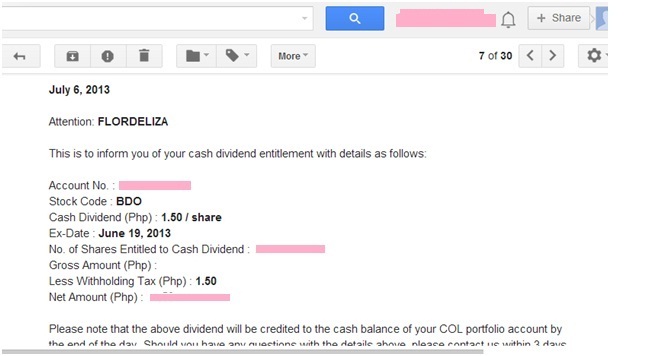 Within two months of investing in the Stock Market, I already received dividends from BDO and FPH. These two big companies were recommended by Bro. Bo Sanchez of Truly Rich Club. It is a good start for me. In this industry, as a newbie, you need a mentor for you to succeed. 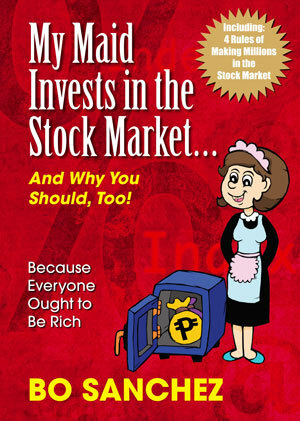 It takes some action and the discipline of saving for the future. On my next article on OFW Business Ideas, I will be sharing how we should manage our expenses especially to OFW's which I also learned from the Truly Rich Club.